This guide was written by Hermann Lauer. It is provided as-is. We can’t guarantee that it will work with all kernel versions and we can’t give specific support for it. Note that this is a very advanced setup. You should not only be an advanced system administrator, but also have experience with electronics circuits. You need a custom cable connection between the BananaPro and the HifiBerry AMP+. Directly connecting (as designed for the RasberryPi) will not work and is DANGEROUS, as BananaPro didn’t allow 5V power input over the GPIO header (40 pin). As the I2S pins (4 at bananapro, Rasberry lacks MCLK) are at another position, thats probably the easiest solution. works also with bananian 16.04 (based on Debian jessie). Edit .config to set CONFIG_SYSTEM_TRUSTED_KEYS=””. This is new instretch to clear out the maintainers key. until “sun4i-i2s.patchl”, the next one is optional for debugging. Alsamixer then should show the single “master” and a stereo “channel” control. Please lower master below 40% to avoid damage to your speakers (and your ears) before playing anything ! The modules are adapted from rasberry and are seen of alpha quality. Trying to unload them usually ends with a kernel oops, after which you have to reboot. In kernels newer than 4.9.20 the i2s driver code has changed. 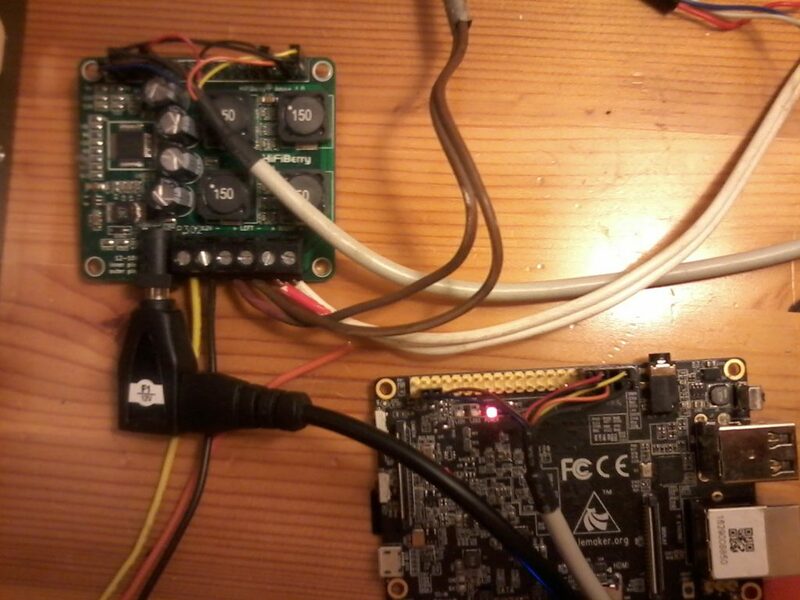 Sampling speed can only be 44.1kHz and 48kHz – due to the missing MCLK input on the HiFiBerry board. bananaio.py is needed to set up the I2S function on the relevant pins. An improved version would do this with the kernel device tree. web if you like to design your own filter. It’s not clear if left and right are transferred correctly over the I2S. with a scope should test that on the I2S.